Kensington Railway Station is a rare example of a "boulder station" built in the picturesque style located in the heart of the town of Kensington next to the former railway tracks which are now part of the Confederation Trail. The Kensington Railway Station was built in 1905 by M.F. Schurman and Company to plans by architect C. B. Chappell. 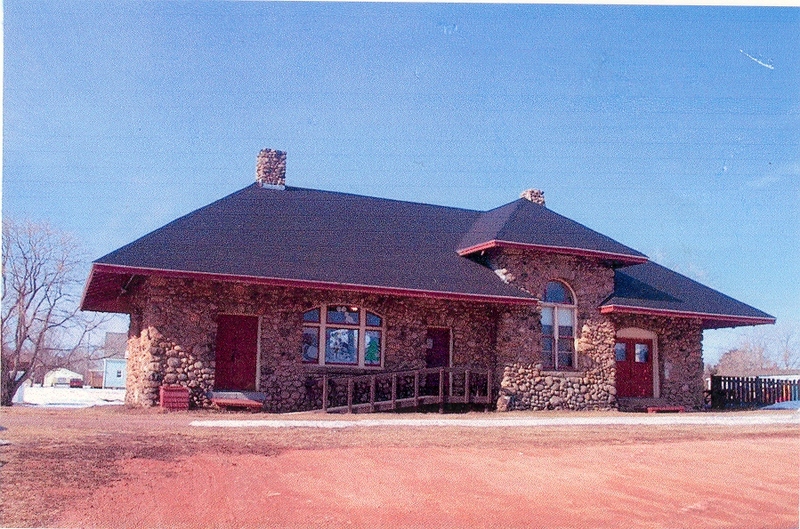 The railway station is rare in that it is one of only two railway stations in Prince Edward Island built of fieldstones or boulders, the other being in Alberton. This station was the third building built in Kensington for the purpose, the first two proving inadequate for the size of the community and demands on its use. The first station was replaced as it lacked living quarters. The second station, built in 1878, was a mansard-roofed station house. This building was relocated in 1906 to Imperial Street to serve as a residence for the station master. The 1905 Kensington Railway Station was one the most elaborate stations in the province. The station is constructed of fieldstone from western Prince County, PEI and New Brunswick. The construction of this beautiful and elaborate new building shows the rise of the community and development of the economy of Kensington. The architect, C. B. Chappell, was a prominent and prolific Island architect of the day. The Kensington Railway Station closed in 1969 following the end of passenger service. Freight trains continued to pass through Kensington until 1989. In 1976, the Kensington Railway Station was designated as a National Historic Site, recognizing its distinctive architecture and its significant role in the history of the PEI railway. In 2007 restoration work was undertaken including work to the windows, wood shingle roof and repairs to the chimney, stucco work, and soffits. Painting, plumbing and electrical upgrades were also carried out. In recent years, the station has been used as a library, tourist information site, box office for the Indian River Festival and to house a collection of railway memorabilia of the PEI Railway Heritage Association. Today the station is home to the Island Stone Pub. - front projecting gable on south/front elevation with Wallace stone voussoirs, each with a letter of the word "Kensington" and topped with the date "1905"